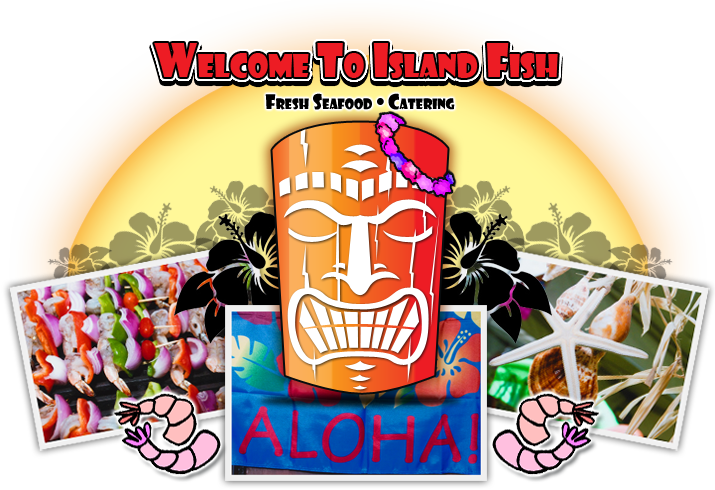 Here at Island Fish, we serve seafood with pasta and rice dishes, Portuguese bread, tasty soups, personal seafood pastry pies, red and white wines and newly added roasted chicken dishes ... lots of ‘good stuff’. We are located in the central and mid-point of Long Island, NY in Farmingville. This comes most convenient whether you are heading out east into the Hamptons or heading back west towards New York City. Island Fish is a "must drop by" seafood place to pick up what you need, want or for a tasty bite to eat and stay awhile! You'll find nothing, but local fresh seafood brought in daily fished by Long Island's own local fisherman. Anything from our fresh fish showcase can be made to order. Have an event that needs catering? 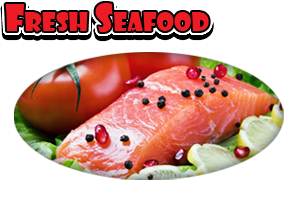 Why not cater to your guests with fresh seafood and more! 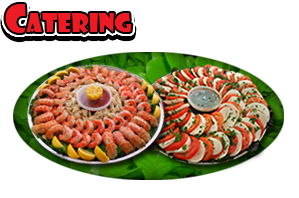 Click the link below to view our catering menu and services.